Spongebob Happy. . Wallpaper and background images in the Bob l’éponge club tagged: spongebob spongebob squarepants squarepants bikini bottom. toi Like Krabby Patties Dont toi Squidward! Patrick étoile, star from the Episode "Planet of the Jellyfish"
Gay means happy and if uve got a problem wid him,. go to some other spot, because this is his spot, no dissing. Anyways, ur mag spongebob, the best ever..
Look at spongebob soooooooo cute i love him!!! 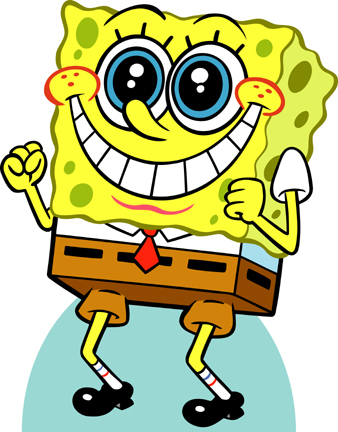 OMGS I LOVE SPONGEYBOB HE IS SO AMAZING I LOVE THIS PIC TOO HE IS ALWAYS SO HAPPY!!!!!!!!!!! I drew a version of this check it out on my profile!!! MAN I WISH THAT I WAS ALWAYS THAT HAPPY EVERYDAY MY LIFE WOULD BE DIFFERENT REALLY AND I WOULD NOT EVEN BE IN TROUBLE HALF OF THE TIME BECAUSE I WOULD ALWAYS BE SO HAPPY !!!!!!!!!!!!!!!!! Lol I ALWAYS found that pose ADORABLE!!!!!!!! !